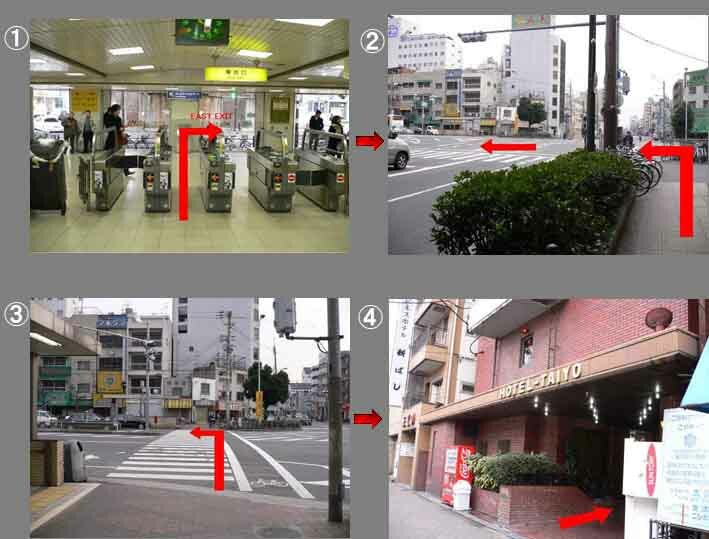 ● 3 minute walk from East Exit of Shin-Imamiya station on the JR Loop Line. 2. Change the train at Osaka station to JR Loop line. 4. 3 minites on foot. 1. Take JR Loop line at Osaka station. 1. Take an airport bus at South Terminal　No.12 or North terminal　No.2 at the airport. 2. Get off the bus at Abenobashi (Tennoji). 3. 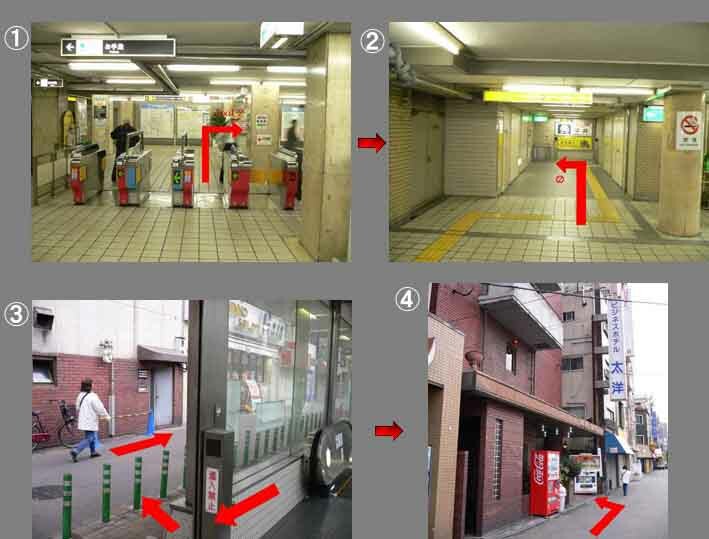 Take a subway Midosuji (Red) line at Tennoji station and get off at Dobutsuenmae station(M22), Exit No.2. 3. About 10 minutes on foot from Abeno airport bus station to the hotel. and you can see HOTEL TAIYO on your left hand after you go under an overpass. take an airport bus to Osaka station then take JRtrain to Shin-Imamiya station.